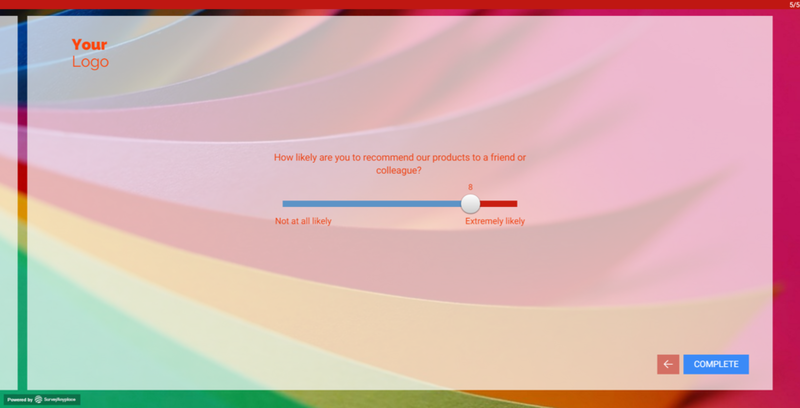 The Net Promoter or Net Promoter Score (NPS) is calculated based on responses to a single question: How likely is it that you would recommend our company/product/service to a friend or colleague? The scoring for this answer is most often based on a 0 to 10 rating scale. This is an easy way to measure the customer loyalty of a company. The idea behind an NPS is that customers don't need long questionnaires. The scale used ranges from 0 (not at all likely) to 10 (extremely likely). Net Scoring is then applied with the percentage of scores from 0 to 6 (Detractors) subtracted from the percentage of scores from 9 to 10 (Promoters). Scores of 7 - 8 are called passive. Two of the greatest advantages of NPS is that it is easy to understand and to calculate. Both are clearly important attributes when considering the communication of customer loyalty both within the organization and externally. In turn, this easy communication will aid its ability to drive the message of how important customers are right across the business – an extremely valuable message, and one that NPS can help with. Perhaps the greatest advantage of NPS though was the claim that there was a strong link between an NPS score and business growth. This was purported to be the single best predictor of future customer loyalty behavior. In fact, Reichheld at the time claimed that it was most significant in determining company growth. There was a constant referral to data sources that were analyzed to come to these conclusions, so it appeared to be supported by thorough data analysis. But we also need to consider some of the potential disadvantages of NPS in order to gain a better picture. The biggest single disadvantage of the NPS approach is the crucial lack of ability to identify and act upon driving factors behind customers’ responses to the question. There is little point in asking customers for their views unless you are willing to act upon the answers you obtain. In order to do that you need to understand what drives customers’ views on recommendation. Having worked with clients who utilize NPS it was very apparent for the need to ask supplementary questions that would help understand the drivers and what actions were required. Whilst there clearly needs to be a balance between asking customers too many questions and looking to minimize the interviewing time, the extreme of a single question appears to us to be too biased towards the customer and not the organizational needs. Another disadvantage of NPS that is frequently raised is: how does it allow for cultural differences in using scales. In some countries, the culture more freely allows for giving a 9 or a 10, where in some others this would be perceived as truly exceptional circumstances and providing a rating of 8 may be considered “the best you’re going to get”. NPS may not also be relevant for your market and your customer set. Certainly, within a B2B environment we often find that a small number of very large customers dominate the business’ income, and therefore the use of a single recommendation score may not be the most effective tool. If you have 25% Detractors and 55% promoters, your net scoring is 30% (55% - 25%). This value can vary from -100%, when there are only Detractors and no Promoters, to +100% when there are only Promoters. Learn how to calculate and use an NPS in Survey Anyplace.